Zacks Trade gives you all the services you expect, but at significant savings compared to our competitors. That means more money in your pocket…often a lot more. * Competitor margin rates and commission data obtained from published websites as of 1/17/2019 are believed to be accurate but not guaranteed. Some of the brokers may reduce margin interest rates depending on account activity or margin debit balances. Comparisons do not include competitor discounts or promotions. Please contact each broker to confirm their margin rates and commissions. For non-U.S. pricing, additional pricing/fee information, and interest paid to you, please see our Pricing Guide. Need more comparisons before making the switch? Don’t see your broker listed above? We’ll do our best to beat your broker’s commissions and/or margin rates, depending on your account activity or balance. Call us today at (312) 265-9406 to see how we can help you save by making the switch to Zacks Trade! Switch your current brokerage account to ZacksTrade today, and we’ll reimburse you up to $150 in account transfer fees.2 Simply fill out our Account Transfer Reimbursement Request and show proof of the transfer charge. Making the switch to Zacks Trade will only take minutes, and you’ll start saving immediately. Our SmartRouting system searches for the best firm stock, option, and combination prices available at the time of your order, and seeks to immediately execute your order electronically. SmartRouting has continued to be significantly better than the industry average. It continuously evaluates fast changing market conditions and dynamically reroutes all or parts of your order seeking to achieve optimal execution and maximize your rebate. *Online trading has inherent risks due to system response times and access times that may vary due to market conditions, system performance, and other factors. An investor should understand these and additional risks before trading.  Check the background of Zacks Trade on FINRA's BrokerCheck. 1. Zacks Trade's margin rate starts at 5.91% compared to Charles Schwab (rate starting at 9.825%), E*Trade (rate starting at 11%), Fidelity (rate starting at 9.825%), TD Ameritrade (rate starting at 10.75%) and Vanguard (rate starting at 9.75%). Zacks Trade commissions for stocks start at $0.01 per share with a $3.00 minimum and start lower compared to Charles Schwab ($4.95 per trade), E*TRADE ($6.95 per trade), Fidelity ($4.95 per trade), TD Ameritrade ($6.95 per trade) and Vanguard ($7 for first 25 trades, subsequent $20). Zacks Trade commissions for options start at $3.00 for your first contract plus $0.75 any additional contract and are lower compared to Charles Schwab ($4.95 base + $0.65 per contract), E*TRADE ($6.95 base + $0.75 per contract), Fidelity ($4.95 base + $0.65 per contract), TD Ameritrade ($6.95 base + $0.75 per contract) and Vanguard ($7 base + $1.00 per contract). Competitor margin rates and commission data obtained from published websites as of 3/25/2019 are believed to be accurate but not guaranteed. Some of the brokers may reduce margin interest rates depending on account activity or margin debit balances. Comparisons do not include competitor discounts or promotions. 2. Zacks Trade will reimburse account transfer fees up to $150 charged by another broker when completing a full account transfer of $5,000 or more to Zacks Trade. Credit will be deposited to your account within 30 days of receipt of the Account Transfer Fee Reimbursement Request form and proof of transfer fees. Offer is valid for new and existing Zacks Trade clients. This offer does not apply to Termination, Maintenance, or IRA fees. Offer not valid for employees of Zacks Trade or employees of other affiliated companies. Zacks Trade reserves the right to restrict or revoke this offer at any time. 4. Testimonials appearing on this site are not considered paid testimonials and are actual client submissions based on individual experiences or clients who have used our products and/or services. However, individual results vary and are not necessarily representative of all those who will use our products and or/services. These testimonials are in no way guarantees for future performance or success. The testimonials displayed are given verbatim except for correction of grammatical or typing errors. Some have been shortened. In other words, not the whole message received by the testimonial writer is displayed, when it seemed lengthy or or the entirety of the testimonial did not seem relevant for the general public. Zacks Trade is not responsible for any of the opinions or comments posted to our site.